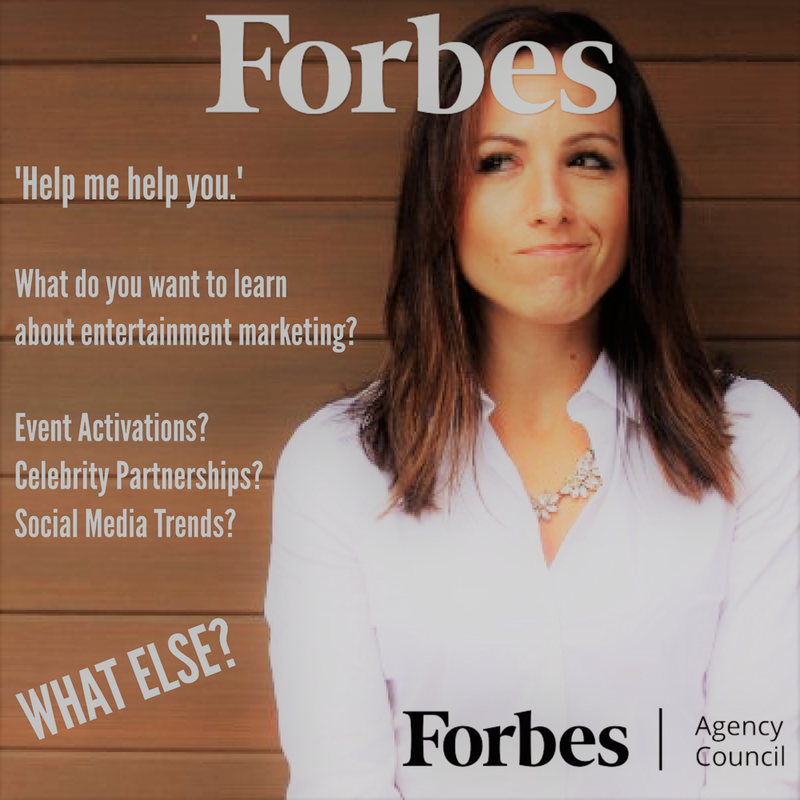 I have officially accepted my invitation to join the Forbes Agency Council to share my marketing expertise and content with a larger audience. I'll be writing primarily about entertainment marketing - celebrity activations, social media, event activations, and other entertainment related trends. Each piece will provide some takeaways that can be applied to various brands and industries and shared via Forbes as a "Community Voice". Forbes Councils' goal is for business professionals to "connect, collaborate, and grow" - and learn from each other. What do YOU want me to write about? What do you want to learn from me? I'm in some pretty good company, so help me up my game and better serve my network!